CHORLEY Motor Group is celebrating after being named by its employees as one of the best to work for in the UK. The family-run business, which has Nissan franchises in Chorley, Preston, Wigan, Burnley and Blackpool and employs a total of 240 people across its various dealerships, was awarded the prize by industry publication Automotive Management. The award, based on feedback from employees, looked at key aspects of working life at motor dealerships throughout the country, including leadership and planning, culture and communications, working environment, relationships with managers, training and development and pay and benefits. Adam Turner, Group Sales Director, said: “We’re thrilled to be named as one of the top dealerships to work for in the UK. Chorley Group is a family business, and we’ve worked hard to build a team where staff members feel they’re valued as part of that family. “We have one very clear ethos: treat everyone — customers, suppliers and our employees — as you want your mother to be treated. This award is not only recognition of the strength of our philosophy as a business, but of our strength as a team. Chorley Group was founded in 1989 when chairman Andy Turner launched his first enterprise, trading used cars. In 1991 he opened his first used car forecourt, and by 1993 he had expanded the business to incorporate three sites. 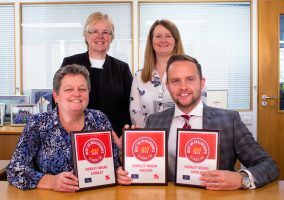 Today Chorley Group is a multi-award winning organisation. 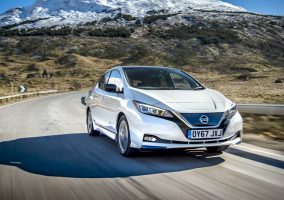 It was named Nissan’s Global Award Winners in 2016 and the Chorley Group has been the UK’s number one Nissan retailer for seven consecutive years, since the award’s inception. 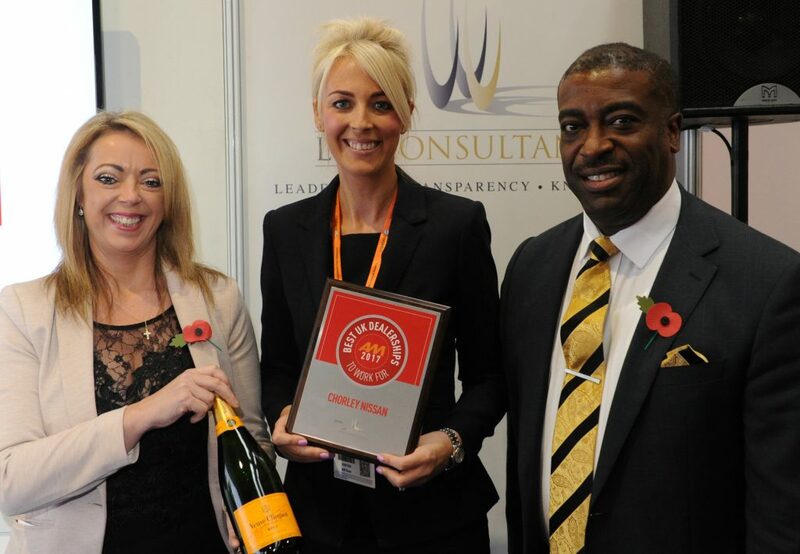 From left, Vanessa Kendrick, Operations Director of LTK Consultants, sponsors of Automotive Management’s UK’s Best Dealerships To Work For, Stacey Turner, HR and Legal Director of Chorley Group and Andrew Landell, Managing Director of LTK Consultants.